If a person were to tell me that the best burger in New York is served at Shake Shack, all they’ll be proving to me is their ignorance. I do not get the fascination with this place, which broadly I consider an upscale, yuppified McDonald’s. Shack burger, fries and root beer. Finally. I decided to give them another run on a Saturday. This time I went to their East Side branch on 86th street. The experience was basically awful. First of all, the place was packed like a cattle car and chock full of screaming kids. Second of all, the seating is completely insufficient for the number of patrons. It was like warriors from Mad Max scrambling for gasoline to find a seat. Third of all, my order of a Shackburger, fries and root beer took at least 10 minutes to fill. What gives? Ok, I’ll put up with a negative environment for good food. One could reasonably argue I went to a branch with a significant outdoor space during winter, so of course it would be crowded. Like I say, I’ll forgive an establishment for being rough around its edges if the food shines. Once again, though, Shake Shack kept up it’s disappointing streak. 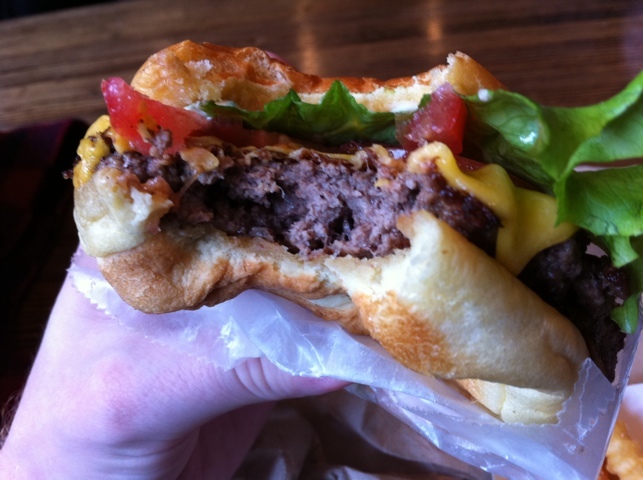 The thin, sweaty, relentlessly disappointing Shackburger. 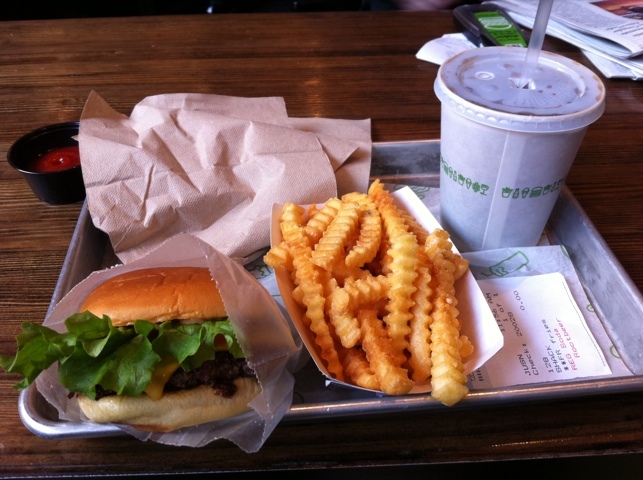 Explain to me, someone, why picking up a Shake Shack burger always feels like a damp sock? It is always soggy! I am not talking about “dripping with juices and sauces” soggy, I am talking about my armpit on a hot subway ride. It’s not pleasant to handle the burger. It doesnt feel firm or substantial, just damp and sweaty. 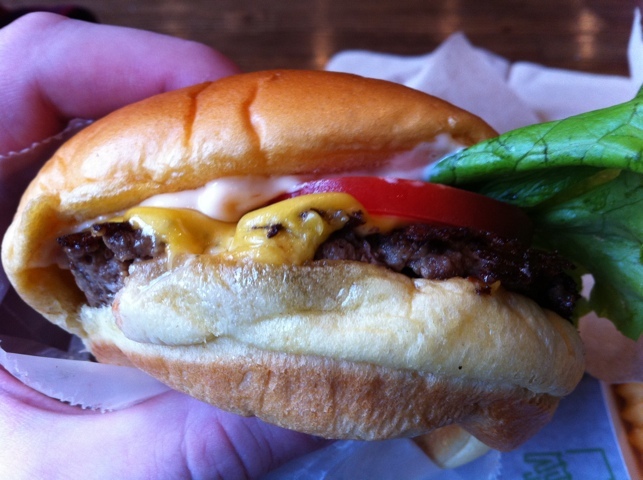 The Shake Shack isn’t bad, but it’s not very good either. In my opinion, the whole reason this place is successful is because New York does not have an In N Out. It is possible to pick up a beef note in the sandwich, although the Shack sauce was also elusive, flavor-wise. Seems like a mix of mayo, a touch of ketchup and some spices. They look good. Too bad they disappoint, too. Even the good-looking fries were disappointing. 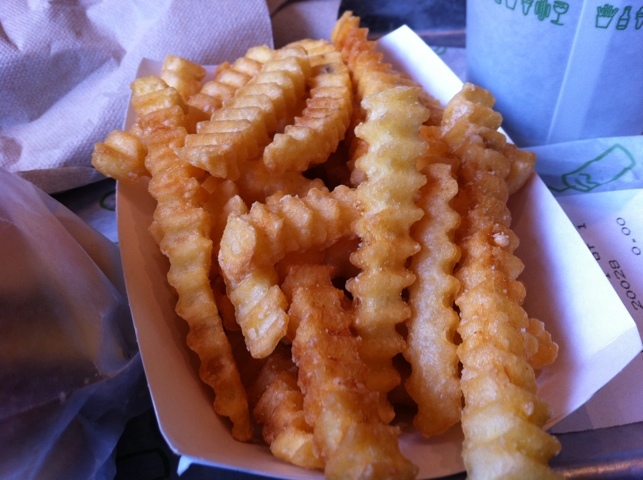 They look like knock-offs of the amazing Nathan’s fries, which are filled with potato-ey goodness. These fries look like they’ll have some potato in them, but alas, it’s undetectable. You get a crunch, that’s true, but not the filling potato content. They are hollow to the bite. I am baffled as to why this place is so successful. I don’t get it. It’s a decent burger, I guess, but it does not in any way measure up to the accolades thrown at it. Next time I’m on 86th and Lex and feel like a nosh, I’ll head to the Papaya King across the street.